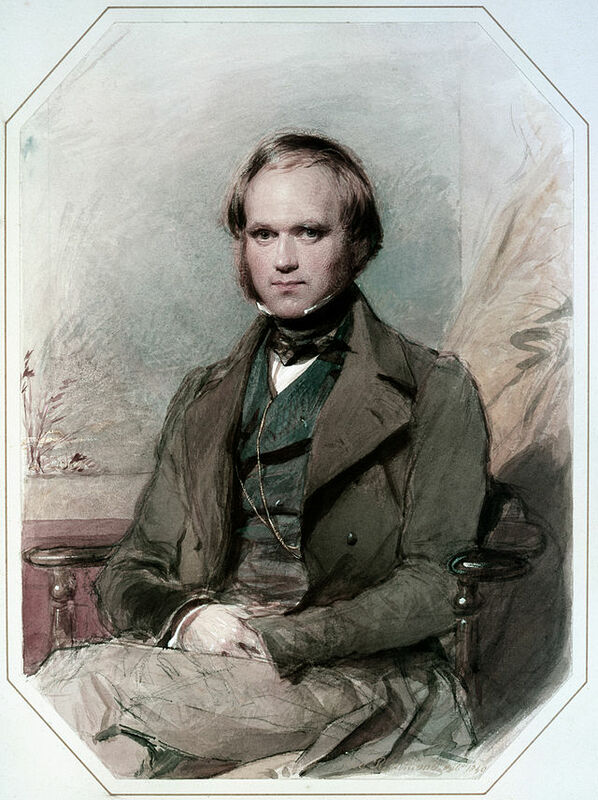 If he had held a passport Charles Robert Darwin (1809-1882) might have been described as a naturalist, but he was one of the greatest of scientists, a titan among biologists. His theory of evolution by natural selection unified biology in its widest sense, providing a coherent explanation for how the diversity of life came to be. Alongside related enquiries it made sense of diverse lines of evidence: how species were related, how the fossil record shed light on vanished worlds, why some organs were vestigial, where our emotions may come from, how oceanic coral reefs formed, and much more besides. This contribution to our understanding of life on Earth has led to Darwin being elevated to the top-most pantheon of great scientists and he remains one of the truly key figures in the history of science. Few scientists have had their career more exhaustively documented. 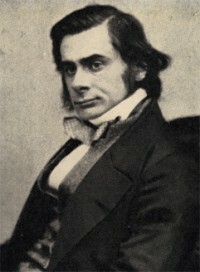 Darwin had initially intended to follow in his father’s footsteps as a doctor, beginning this career at Edinburgh University. He found, however, the medical work to be repugnant. 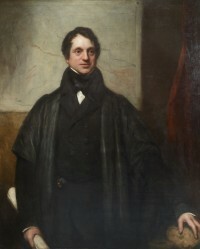 His fascination for natural history led him to neglect his studies, with his father ultimately sending him to Cambridge to study divinity with the intention of his son becoming an Anglican parson. This, of course, did not happen, but it underlines the often serendipitous nature of science. When Douglas Adams wrote “I may not have gone where I intended to go, but I think I have ended up where I needed to be.” (1988, p.142) he wasn’t referring to Darwin, but it can with some justice be applied to him. 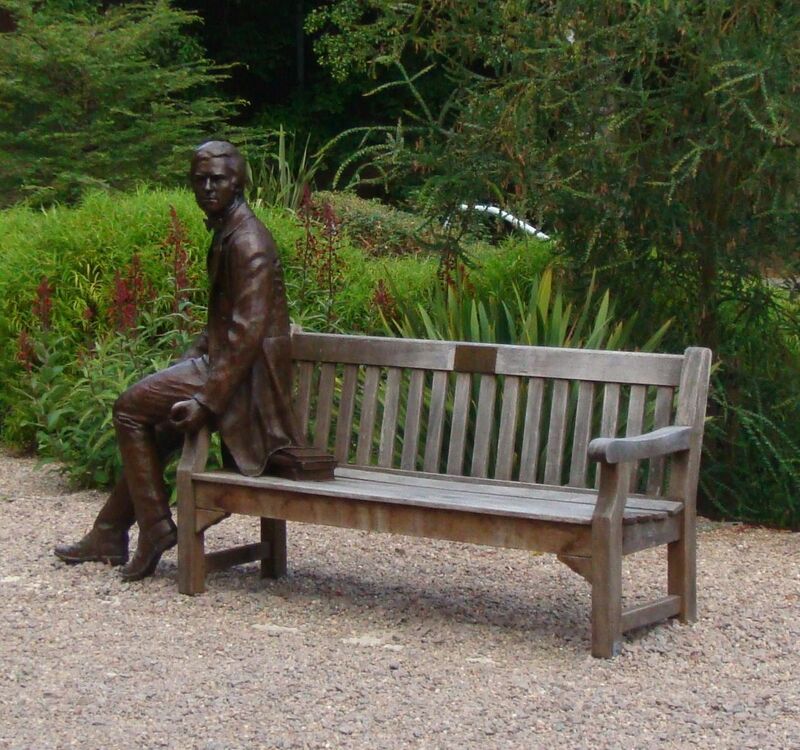 In 1831, one of Darwin’s mentors at Cambridge, the botanist Professor John Stevens Henslow, recommended him as a gentleman companion and naturalist to accompany Captain Robert Fitzroy, who was about to embark on what turned out to be a five-year trip around the world, on HMS Beagle. This experience had a profound impact upon Darwin and formed the basis for many of the observations he used to develop his seminal publication On the Origin of Species. On the Origin of Species was published in 1859 and sold out immediately. Today it is available in almost every language (including Esperanto), and within Darwin’s lifetime ran to six editions. An insight into its impact, as well as to Darwin’s scientific integrity, is relayed by Desmond and Moore (1991, p.582). They describe how, upon hearing that working men in Lancashire were clubbing together in order to afford a copy of Origin of Species, Darwin insisted that the cost of the book be reduced because he wanted it to be available to everyone. Its fundamental thesis was the ground-breaking idea of evolution by natural selection. As is well-known, the germ of this idea derived from the economist Thomas Malthus, but in Darwin’s hands the concept of natural selection provided a cogent explanation as to how adaptations occurred and, by implication, species arose. Yet so familiar is the idea of natural selection that its sheer explanatory power has on occasion led to it becoming misunderstood. So it is that natural selection is sometimes thought of as a ‘force’ seeking out to destroy ‘stupid’ individuals. For example, images of an individual carrying out some foolish act (such as diving into an empty swimming pool) are tagged with a heading along the lines of “Natural selection in progress”. One needs to remember that natural selection is not a ‘force’ striving to produce ‘progress’, a balanced ecosystem, or for that matter anything else. Rather, it is the consequence of differential ratio of reproduction, and as such is mechanistic. Natural selection, therefore, has neither fore-knowledge nor a particular goal in mind. Put simply, natural selection is a process by which biological traits increase or decrease in a population because some individuals have more offspring than others. It is also important to note that whilst natural selection is a key mechanism of evolution, it is by no means the only one. Thanks largely to the field of work founded by the botanist Gregor Mendel (regarded as the father of genetics) we know that evolution is also driven by genetic mutation, gene duplication, migration, genetic drift, and other factors. Broadly speaking, whilst evolution is universally accepted, the field of neo-Darwinism continues to explore not only natural selection but a range of other mechanisms that lead to the diversity of life we see around us. A second matter that perhaps needs clarification is the word ‘theory’. This is because anti-evolutionists attempt to undermine evolution on the grounds that it is “only a theory”. This stems from a misunderstanding of what is meant by the scientific idea of a ‘theory’. In everyday life ‘theory’ tends to mean an unsubstantiated opinion or the postulated outcome of an event or hunch. In this way the word ‘theory’ is often used interchangeably with the word ‘guess’. However, in the scientific world, a theory is an overarching explanation for an aspect of the natural world that is supported by hypothesis-driven evidence. One does not need to subscribe to the idea of paradigm shifts (in the manner of physicist Thomas Kuhn) or that science is dependent on a cultural context (although it would be otiose to deny that scientific ideas might more readily arise in some settings as against others) to realise that no theory can be entirely secure. In principle, new lines of evidence may lead to radical reformation or even the abandoning of a theory. But seldom, if ever, does one new observation have this consequence. In the case of Darwin one can be as sure as possible that while there is much about evolution yet to be discovered (and if Darwin was with us, he surely would have been delighted to acknowledge this), but that its foundations are secure. What of Darwin the individual? It is easy to sink into hagiography, although by most accounts he had many admirable characteristics. Nevertheless, one can note he oscillated between times of exceptional excitement and others of introspection, even pessimism. He was patient (up to a point) with critics, but acerbic with those who he judged (perhaps not always fairly) to have misunderstood his ideas. What surely marks him as almost entirely original is his extraordinary ability to ‘join the dots’, to see how apparently unrelated facts made sense from a wider perspective. So too, Darwin knew that his theory was vulnerable, with weak points, but as has often been noted, when these were ultimately resolved the overall theory was strengthened. Stories of a return to his Christian faith on his death-bed may not be as misplaced as have generally been thought, but there is little doubt that he had little time for the apparent niceties of religion. As is often the case with great thinkers, Darwin had a grand vision that was perhaps more akin to a deist, even a pantheist, but significantly he never lost his sense of wonder, even awe. Was Darwin good at everything? No! When it came to philosophical skills he himself admitted that his abilities were limited, but was content to emphasize the empirical data that spoke to him more clearly than anything else. Nobody can do everything, and Darwin remains a giant upon whose shoulders we now see a little further. 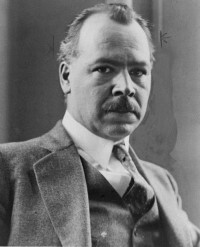 Adams, D.N. (1988)  The Long Dark Tea-Time of the Soul. Pan Books. Desmond, A. and Moore, J.R. (1991)  Darwin. Penguin.